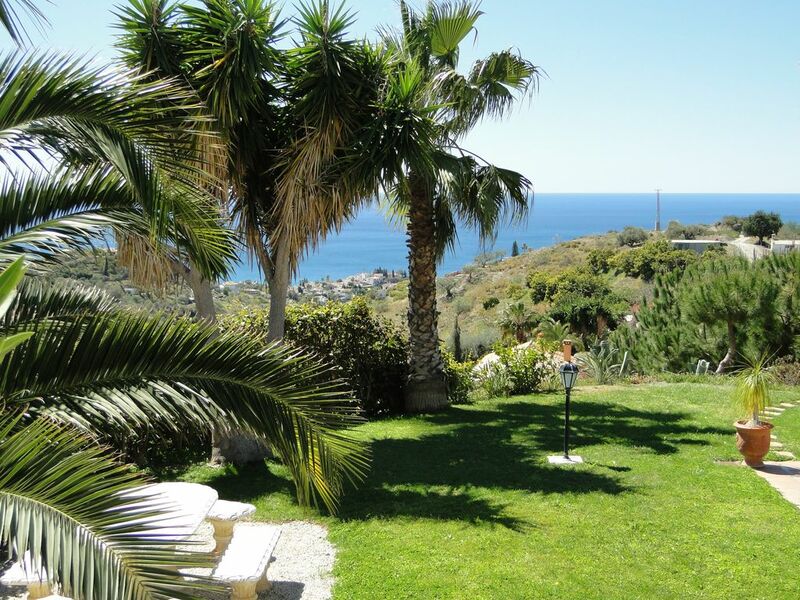 Idyllic and tranquil finca in ideal location between Mediterranean (2 km) and mountains with fantastic, natural sea view. Relax in the beautifully laid out garden with local plants. There’s a large refreshing pool. We’ll be happy to supply seasonal fruits and olive oil from our finca. La Herradura belongs to Almuñecar district and is 80 km south of Granada and 65 km east of Malaga and is an ideal place to take trips along the Costa del Sol or in the historically interesting surroundings. The little white villages with their historic town centres are especially attractive. Protected by Sierra Nevada to the north, this region is a micro-climate where mango, bananas, citrus fruits, avocados, chirimoyas and lots of other fruits grow. La Herradura has various beaches, pebble or sand, tiny bays and long extended beaches. Ideal for all water sports, and also for hang-gliding, cycling, tennis, golf, canyoning etc. Nature parks are great for walking.